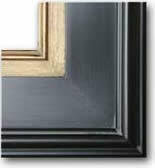 The Wyeth is the quintessential plein air frame, simple and elegant, dramatic yet subtle. The way light plays with the stair-step plateau makes this frame magnificent! Warm dark espresso finished to a lustrous hue with mutted gold lip or broken silver. The photos do not come close to showing the richness of these frames. 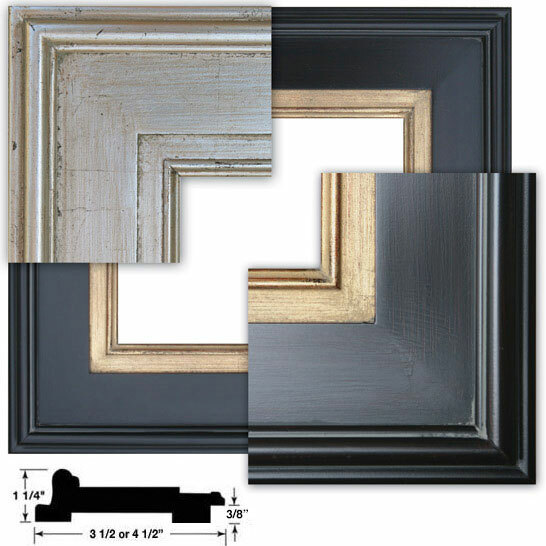 Solid wood frames in 3 1/2 or 4 1/2 inches wide in dark espresso. Custom sizes may be ordered, click here for details.